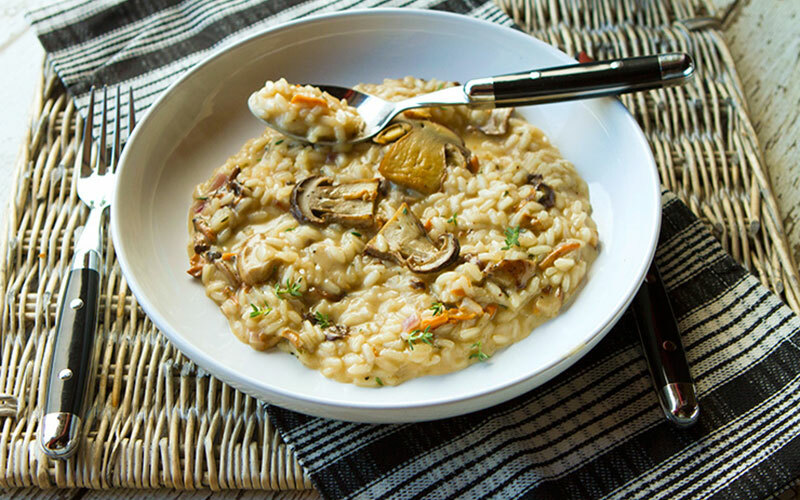 If you love risotto, you’ll love this delicious recipe. We suggest picking up a bottle of Vin Bon Malvasia to enjoy with it. This white wine pairs perfectly with it. Total Time: Prep: 20 Min. Cook 2 Hours. 1. Place the dried morels in a bowl and pour 2 cups of boiling water over them. Set aside for 30 minutes. 2. Scoop the morels from the water with a slotted, reserving the liquid. You should have 2 cups of liquid; if not; add enough water to make 2 cups. Strain the morels and rinse once more. If some of the mushrooms are large, cut into 2 or 3 pieces. Pour the mushroom liquid through a coffee filter or paper towel, discarding the gritty solids. Set the mushrooms and liquid aside separately. 3. Bring a large pot of water to a boil, drop in husked corn for 3 minutes, remove from the water and set aside. Heat your BBQ and grill the corn. Set aside until it is cool to the touch. Take a sharp knife and cut the roasted corn off the cob, place aside in a bowl. 4. Meanwhile, remove and discard the stems of the porcini and shitake mushrooms and rub any dirt off the caps with a damp paper towel. Don’t rinse them! Cut into thick slices and set aside. Gently tear the oyster mushrooms from the top down, creating strips. 5. In a small saucepan, heat the chicken stock with 2 cups of the reserved mushroom liquid and bring to a simmer. 6. In a heavy-bottomed pot or Dutch oven, melt the butter and sauté the shallots over medium-low heat for 5 minutes. Add the morels, porcini, shitake and oyster mushrooms and sauté for another 5 minutes. Add the rice and stir to coat the grains with butter. Add the wine and cook for 2 minutes. Add 2 full ladles of the chicken stock/mushroom liquid mixture to the rice, plus the saffron, salt and pepper. Stir and simmer over low heat until the stock has absorbed, 5 to 10 minutes. Continue to add the stock mixture, 2 ladles at a time, stirring every few minutes. Each time, cook until the mixture seems a little dry before adding more of the stock mixture. Continue until the rice is cooked through, but still al dente, about 25 to 30 minutes in total. When done, the risotto should be thick and creamy and not at all dry. Remove from heat add the Parmigiano cheese, roasted corn and fresh thyme. Serve hot in bowls with extra cheese. Serve with Vin Bon Malvasia and enjoy! 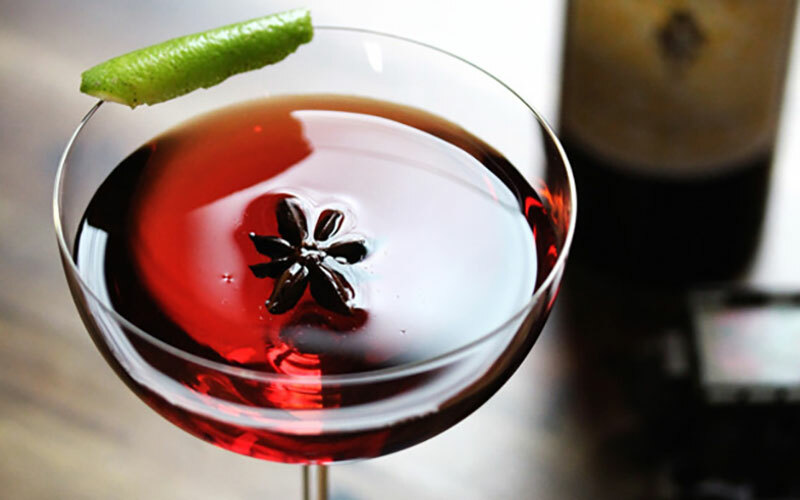 This recipe is courtesy of Karen Mandryk – Director of Operations, Vin Bon.